Lauren Spierer has been missing since June 3 and she was last seen walking home after a party. 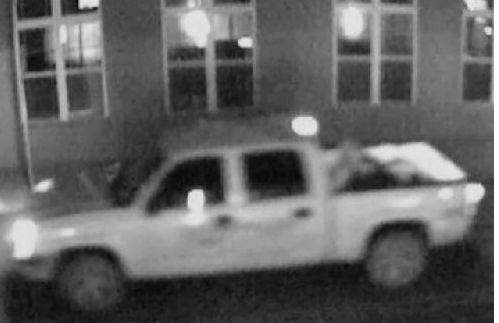 Bloomington police said a four-door mid-2000s shortbed Chevy Silverado or Chevy Colorado has been caught on camera. See pic. The images show writing on the back doors and rear panels, but police said investigators haven’t been able to read it. There have been about a dozens leads about the pickup truck being in the area where Lauren went missing. If you have any information about this truck please call the Bloomington police.